We’ve all been there. Someone says something preposterous, out of line, or just plain mean, and we just stand there, dumbstruck, perhaps even blinking back tears. We are literally speechless, horrified that someone would behave so terribly. Worse, this kind of thing could be a pattern with this particular person. You might have to work with them, you might have a romantic relationship with them, or they are influential in your life to the degree that you have to participate in the relationship. If you frequently find yourself in frustrating circumstances with a difficult person, you’re on edge, wary. You never know what is going to set them off. But they do go off, frequently, and you bear the brunt of it. Even more maddening is the perfect rejoinder that comes to mind about 2 days later. Exasperatedly, you tell yourself, “I should have said such and such…or I should have done this. Or why couldn’t I have told them off!” Even though you’ve been beating yourself up over the situation for days you can’t very well just go up to someone and signal that’s what you’ve been doing, can you? Why wouldn’t you just let things go with a difficult person? Well, perhaps you could. You could transfer out of the class, get another job, move to another neighborhood, file for divorce, and any number of things. But more likely there aren’t any practical options that would completely eliminate the situation. Instead, your choice is to minimize or neutralize the harmful effects. The best you can hope for in situations like these is to get the difficult person to understand you disagree. Once they do, they may modify their behavior or not. But that understanding is the first step in a practical strategy you can use in dealing with them. To get there, you have to confront skillfully and effectively. Many difficult individuals view no response as agreement or acquiescence, so the longer you let it go on, the deeper into a more harmful dynamic you can sink. summon them for use when another similar situation occurred. The section of our shared Google documents that I started calling “Snappy Comebacks” grew. It was eventually incorporated within the Guide as scripted suggestions for assertive responses to the kind of verbal challenges a difficult person might typically make. I am still excited that Lori and I were able to provide specific examples of things you could re-write in your own voice and practice delivering. Snappy comebacks can sometimes be too snappy – they can provoke an even more inappropriate response from the person you’re trying to neutralize. You don’t want to fight fire with fire; instead, your best interest is practicing to finesse your skills. If you haven’t read our book (and why haven’t you? It’s free! Click here! 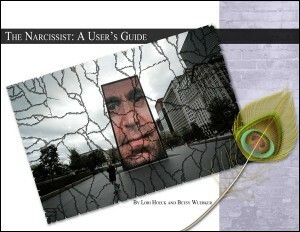 ), you’ll find there are several PAGES of snappy comebacks designed to set boundaries. They defuse the strategy the other person is attempting. Lori is particularly good at taking passive-aggressive and hurtful statements for exactly what they are, and calling them out. She’s even better at crafting rejoinders that can be made for the record at the time you are under verbal and emotional attack. It was a pleasure to emulate her process to assist with this section, and break it down into a logical sequence. Now, obviously, every difficult person isn’t a full-blown narcissist like the ones we discuss in the book. That’s beside the point. Strategies difficult people use can be quite similar, and creating distance from them is going to keep you intact. The big point is: if you have to have an extended interaction with a high-maintenance person, wouldn’t an equitable one be more tolerable? You can decide your requirements are going to take priority. And without getting downright combative, you can respond to their challenges in ways that set and affirm your terms. Once confirmed and on the record, you then can administrate your terms and expectations in future interactions. Great – administrating your terms in a relationship, eh? Well, with some people, it’s necessary, unfortunately. You’re going to feel a whole lot better when you do yourself a favor and start standing up for YOU. The old saying, “If you don’t stand for something, you’ll fall for anything” comes to mind. And we don’t want to fall for the difficult person’s game. Having to administrate the relationship may eventually seem like a good reason to minimize it further or even eliminate it in favor of your peace of mind. That’s using process to make a healthy, deliberative decision. The above examples administrate a relationship by setting a boundary. The communication frames the boundary as if it were the most normal thing in the world (which may be a revelatory circumstance for a difficult person). Your attitude might even be somewhat breezy, as if their inappropriate behavior isn’t a big surprise. You’ve disassociated from the entire interchange. You will just resume normal communication and expectations when they’re able to continue in human fashion. And all that will just happen to integrate nicely within your terms and expectations. thinking about your needs and requirements – no name-calling, no shouting, keep things positive, refrain from malicious gossip, etc. maintaining expectations within the context of the relationship. This is a lot of work. It can be really tiresome being the only adult in a relationship. Sometimes you just can’t summon the appropriate response as quickly as you’d like. Other times, difficult people will up the ante and you will have to remain steadfast. Frankly, some people and circumstances just aren’t worth all the energy that seems necessary to keep things equitable. The cool thing is you can always decide whether they are worth expending your emotional resources. Using this formula is empowering. You are strengthening your resolve and your expectations, and you’re using effective communication skills. You’re going toe to toe with a difficult person and asserting your rights within the relationship. Most of all, you can all but banish “What I should have said…” from your vocabulary. I’ve come to the conclusion that life’s too short to “expend the emotional resources”. When a person is in the position where they don’t *have* to deal with that person they are fortunate to have the choice to distance themselves. Depending on who you’re dealing with, even standing up for yourself just makes it worse. These people are so good at dodging the truth and manipulating *everything* that you’ll always be side-stepping them. .-= Davina´s last blog .. Book Review: WordPress Defender =-. I’ve got no problem swiftly minimizing or even eliminating negative interactions, but it was via a lot of difficulties that I developed the knack. I’m fortunate that I can do so now in both my work and personal lives, but I also realize not everyone can for whatever reason. “Firing” toxic people does wonders, and losing the drama makes you wonder why you ever put up with it in the first place. I do believe the more proficient you become with whatever variation of the strategies bulleted above you decide to use, the more you project the sort of no nonsense aura that encourages troublesome sorts to play elsewhere, too. Thanks. I love observing and learning about human behaviour. And, I admire you for having developed the knack for eliminating negative interactions, though I know you had to go through a lot of pain to get to that point. The first item on your list “anticipating that a sticky interchange might occur” is very important; it sets a person up to respond, rather than react. It does take practice, that’s for sure. These people have sneaky ways of knocking you down, too. If they don’t do it directly, they get at you by belittling the things that are important to you. Whether its your profession, your beliefs, your hobby… whatever brings you pleasure, they criticize and find fault with. I’ve found that an all-purpose first response of “ExCUSE me?” works well, and gives you a few moments to formulate a more detailed response. I’m also fond of “I’ll talk to you when you’re able to speak to me in a professional way” or, if someone’s yelling, just walking away. .-= Dot´s last blog ..Feed has moved =-. I also like your comment about “firing toxic” people — it puts the power back our hands. Thank you for the thumbs up on my “call it what it is” style when it comes to passive-aggressive or hurtful statements. I took me a long time to get there, and it is freeing, too. .-= Lori Hoeck´s last blog .. Self defense for kids made easier with a game =-. Hi Dot – Great technique! And yes, physically removing yourself from the premises of an unacceptable interchange is a good idea, as well, although the difficult person may mis-characterize that as flight. One that I hear frequently in Minnesota and Michigan, where I’m from: “Is that right.” Said with just the right amount of downward inflection so that it’s not a question, but a statement. Thanks. Hi Lori – Just so your talents don’t go unappreciated! And yes, consciously minimizing the effects these types have is very empowering. Empowerment can seem very elusive in certain situations. Thanks. I’ve gotten to “that point” in my life, too, where I’ve “fired” the toxic people that once occupied it. What a difference. I still remember says something like, “oooooooh, I see SOMEONE woke up on the wrong side of the bed this morning”. It added a little bit of humor, got the point across that I wasn’t going to “play the game”, and made them look like the idiot they often were. I’m with Dot on walking away when someone is yelling. If there were to say (yell) “I’m talking to you!”, I’d say, “When we can talk like civilized adults, then I’ll listen”. Like Davina, I also enjoy observing and learning about human behavior. Often when we just sit back and watch, not only what someone is saying, but their body language, it speaks volumes. .-= Barbara Swafford´s last blog .. Oh Please, Dont Tell Me I Need To Learn This =-. I still want to resolve a problem right away…and it always takes me several days to re-approach to make a change in a situation. .-= Patricia´s last blog .. Ecotopia ~ Ernest Callenbach, A Relook at an Inspiring Book =-. It’s nice to have such practical strategies for approaching a difficult person. I liked your examples and the idea of setting your boundaries. He would wait until we were in a meeting to correct me. He’d even correct me about things he had told me to do. Everyone seemed to love this guy, but I found him horrid. I eventually left that place of work. I always regretted, however, that I never stood up for myself. .-= Sara´s last blog .. The Nature of the Beast =-. Once I finally arrived at getting myself free from toxic relationships, I stayed there too! Life’s too short, as Davina says. I do recall being especially impressed with that section of your book that deals with those assertive come-backs. Real tools. I wish everyone could read your e-book! As I said before, it helped me tremendously, and I didn’t even realize I had a toxic maven in my midst. .-= Jannie Funster´s last blog .. Beautiful Austin, Texas — Through A Donut Hole =-. Hi Betsy .. I think your book must be a boon to so many people and that comment of I know – I should have said that .. those pithy replies always come too late – but probably a good thing .. otherwise we’d be sparring all the way to the north pole and back. .-= Hilary´s last blog .. Women – how much education have women had in the past 2,000 years? =-. Hi Patricia – One of my children was what Mary Sheedy Kurcinka labeled a “spirited” child. I loved how she turned “difficult” into something positive. And it sounds like you had your hands full, but that the skills you developed turned your situation into something positive,too. It’s when we really can’t see the potential for a return on our investment that we have more difficult decisions to make. A friend of Pete’s and mine has decided to soldier on, making sure he is a daily, positive influence on his grandchild despite the crazy-making ways of his daughter, the mother. There’s a special nobility in these decisions such as you made. Thank you. 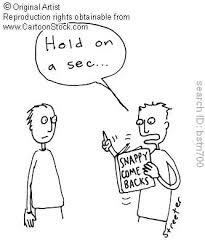 Hi Jannie – Yeah, wouldn’t it be great if life came with an owner’s manual replete with a section for Snappy Comebacks! Haha! Thanks for your continued support of this project. I’m so glad it helped you! Hi Walter – I’m sorry that I missed this comment. You’re so right, a stronger more courageous self is an antidote or repellent to difficult people. If they’re unable to steamroll, they’ll go look for an easier time of it with someone else. Straight talk is so effective, isn’t it? Thank you for your thoughts.